When I put in a bid for a turn, I remarked that I thought I'd actually got to the point where I could see myself moving away from turning on the laptop to work on my blog, instead grabbing the ipad to check things out, and to my phone to use instagram. A faster way to keep in touch. I was surprised at how shocked they looked. No way, Mum! You'd miss your writing too much! for a page about, well, you know who: Little E, who has just turned seven. What I'd like to do next is make another page, a companion, and experiment with a long, low slice of photo for one of my bands. See, I told you: I don't often get as excited as this by a sketch..and it's all down to instagram, where I found it. as another avid watcher of Monkey Business I immediately understand why his monkey is called Seamus - always up for fun and mishcief and happy interacting with others of all ages. no need to divide loyalty just use whichever thing works best at the time. I like the wordy thing. I always need journalling on pages and even though a picture tells a story I like it to use my words. With social media, there are so many places to be with the little spare time I have to devote to it. I've gotten to where I call Facebook---Fakebook! I'm not loving all the bragging going on when sometimes you know the inside story!! I'm new to Instagram and don't think to check it regularly. Seems my blog is what's suffering these busy days. I commend you for not only managing it all, but having time to really respond to people. I know I'm not the only one!! Interesting post. I like instagram but due to phone issues I cannot use it very much at the moment. Like your youngsters I like to relax by playing games on the iPad but I find blogging on the iPad quite difficult. I am sure you will never run out of stories! Panic has now ensued across all lands & ponds. Sian not blogging!?!?! What a cheerful layout. I totally agree with Little E - lIFe is such an adventure. I have been attending a series of workshops about all forms of social media - there are so many but what is grabbing me most is all the legal stuff related to it. The legal stuff is in application to the platforms & that transcends countries. WOW I have re-scared myself. You not blog? What a nightmare that would be! I'm a late convert to Instagram, but for me, it will never replace blogging. 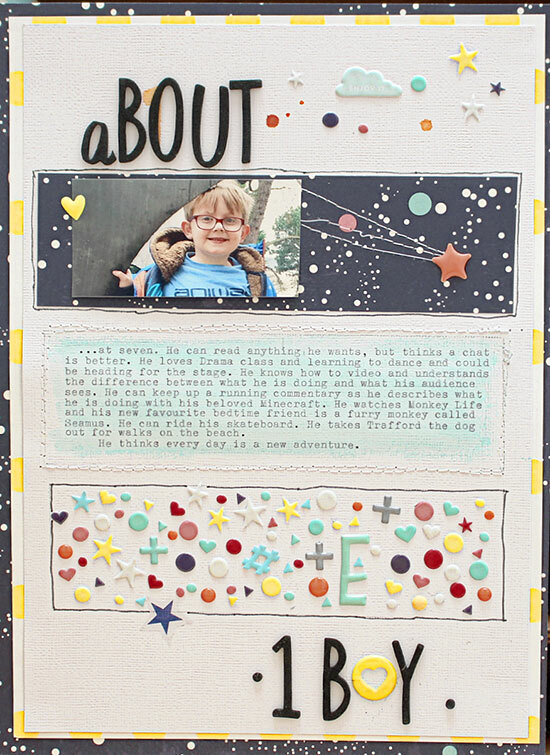 Super cute page about Little E! LOL I'm bummed about the divided loyalty, but noticing quite a decline in blogging and blog commenting. I really enjoy blogging but have lately been considering where and how I want to spend my time. I'm not much for other social medias though. What to do, what to do - looking forward to hearing more about your loyalties. 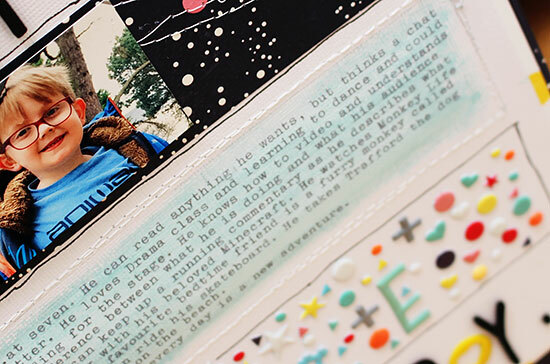 How pretty is that page...love your journaling and the block of embellishing. I've never gotten on the Facebook wagon. I decided from the beginning that blogging was more important to me than that, so I rarely get on, and even more rarely do I comment. I like Instagram, but haven't gotten attached to it. It's been months since i posted there, but I haven't gotten to the point where I've made a firm decision about it either way. I definitely have mixed emotions. 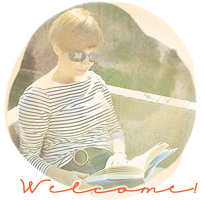 Love your page, and would miss you terribly here on the blog if you abandoned it. Delightful page of delightful Little E. And major stash busting points on using all those little bits up. Just this weekend I used the Blogger app on my table to write a draft of my Memo Monday blog post, because I wanted to do it in the moment. But the limitation of not being able to schedule it meant that I would add pictures, hyperlinks and do the final edit on the computer - where all of that could happen much more quickly. But being able to capture pictures more readily with my phone as well as my table is wonderful - so I am coming along slowly in the social media realm. Glad you are finding Instagram useful, when I look at too many pictures on social media, I tend not use them as in the moment inspiration. We just all have to figure out what works best for us. You cannot move away from blogging unless you first agree to give all of us non-adopters private lessons in how to use Instagram. Because I never quite figured out how to navigate it and ultimately gave up. And I just can't imagine a world where I can't check in regularly to see what you are up to!